Having the opportunity to meet young people who are trying to change the world is one of the best things about being a freelance writer. I recently had that chance when I interviewed the founders of Ezzy Lynn – a group of women who are using fashion for social and environmental good. Their weapon of choice? The scrunchie. Sound crazy? That’s what I thought when the assignment dropped into my inbox. Then I met Western University grads and Ezzy Lynn co-founders Samantha Laliberte, Sonja Fernandes and Bianca Lopes. The ladies of Ezzy Lynn. This trio of 25-year-olds have their act together, and I wouldn’t bet against them. Intrigued? You can read my cover story here. 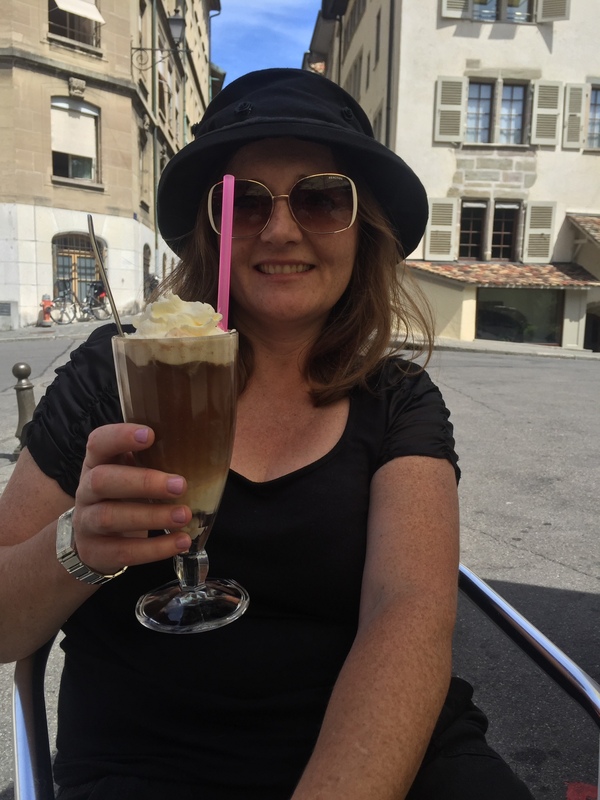 It made me think about what I was doing when I was 25…living in Geneva Switzerland, working as a freelance musician with no plans to change the world. Without many plans beyond next week, actually. 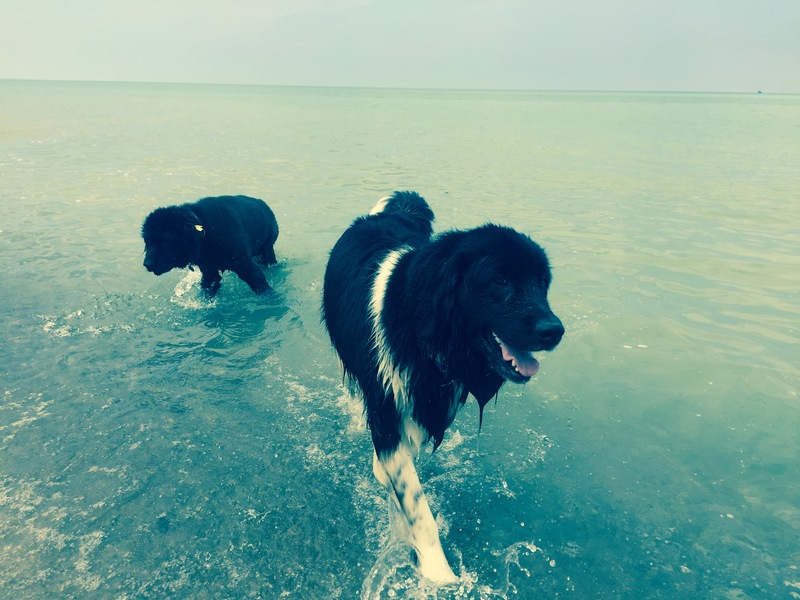 Fast forward 15 years and I have a new career and a family that includes a 9-year-old and two Newfoundland dogs. The geriatric and the young b**ch enjoying a swim. 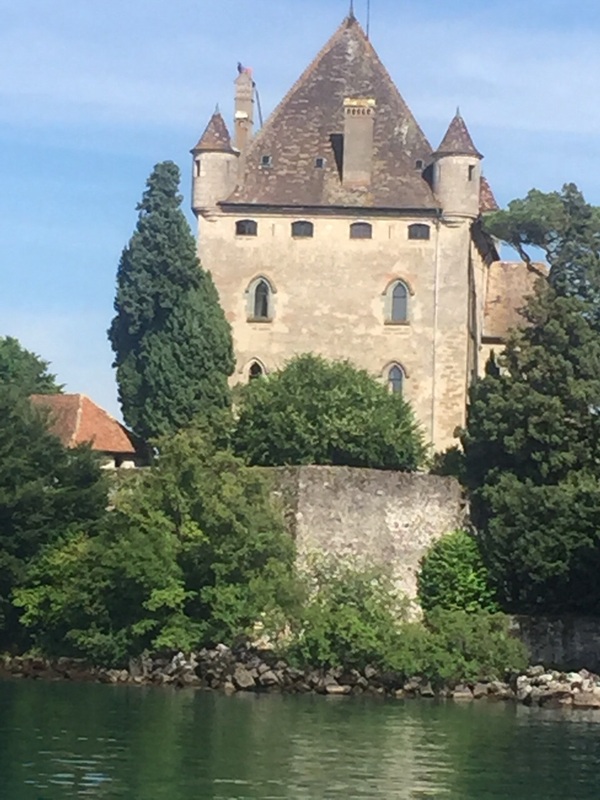 We took a boat ride to the medieval village of Yvoire, France. Why can’t I find this in London, Ontario? …and escaped the heat wave by jumping in the lake. 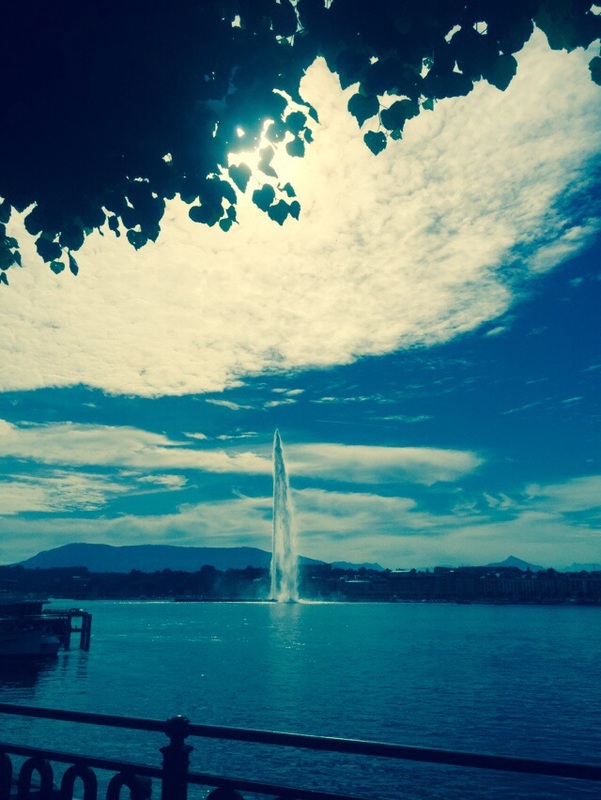 Yes, you can swim right downtown in Lake Geneva! 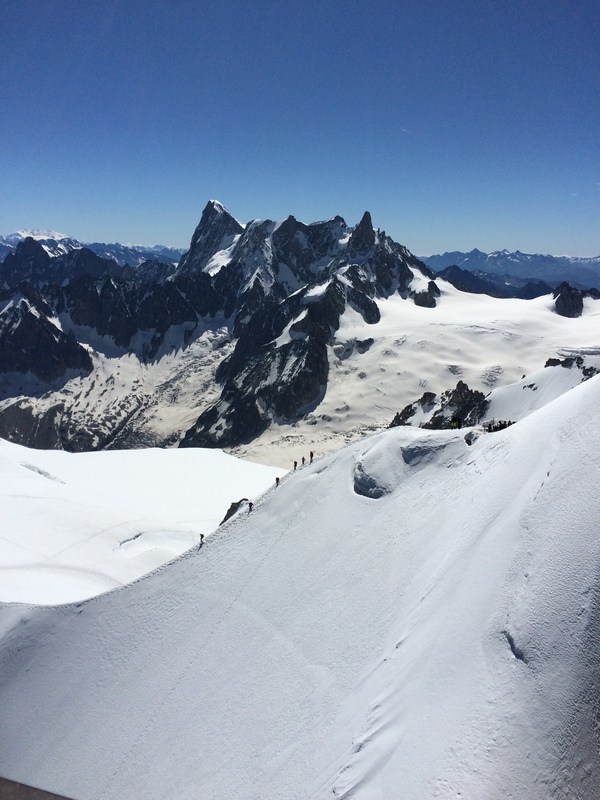 We also went on a day trip to Chamonix and took the gondolas up Mont Blanc – something I couldn’t afford to do as a twenty-something musician. On top of the world….a pricey day trip, but worth it! It was wonderful to revisit a city that was once my home and that holds so many great memories. And so, while I am in awe of this generation of driven, entrepreneurial millenials who are working so hard to change the world, I hope that they’ll also take some time to explore it. Responsibilities will wait.